Additive free Thai curry paste, no bulking ingredients. 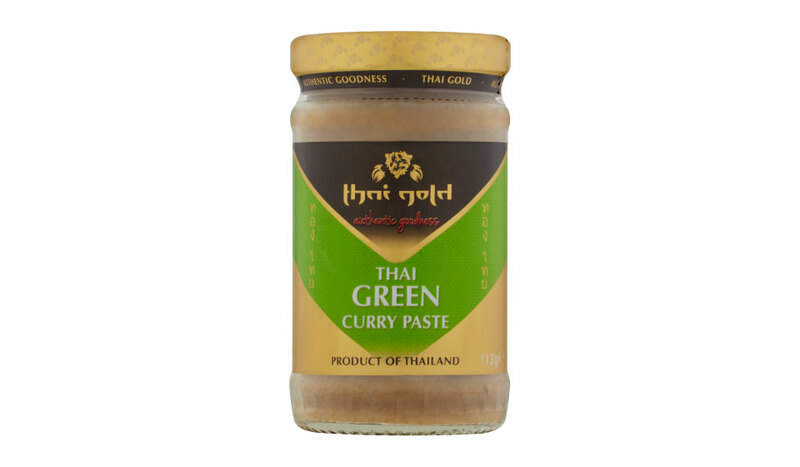 For curries, stir-fries, soups and marinades, Thai Gold Green Curry Paste is raw, pure and additive free. Pure paste, no bulking ingredients. Green Chili, Galingale, Garlic, Shallots, Lemongrass, Salt, Galangal, Coriander Root, Kaffir Lime, Pepper, Chili Pepper.